In a previous post, I wrote about how perceptions often have more effect than reality on people’s experiences of organizations. In that post, I discussed how the film Katy Perry: Part of Me deliberately constructed the audience’s perceptions of its subject. As threatened promised, in this followup post, I’m going to discuss another film I recently saw – Room 237 – which is also an example of constructed reality. But in Room 237, it’s the audience, rather than the filmmakers, who are doing the constructing. I really enjoy documentaries, and I don’t think I’ve ever seen one structured like Room 237. Its basic premise is an exploration of viewer interpretations of Stanley Kubrick’s film The Shining. But unlike most documentaries, Room 237 has no narrator, no message, no theme – it just lets several people explain, uninterrupted and in voiceover only, their theories of what The Shining is really about. It’s a little difficult to write about Room 237 without spoiling it by giving too much away; one of the most enjoyable things about the movie is the different interpretations and how they unfold. But I can say that while each theory is being explained, it’s illustrated by the relevant scenes from The Shining (often replayed or reframed to emphasize the points in the theory), along with clips from other sources and some additional material. Room 237 is one of the best constructed and most engaging films I’ve seen recently. I thoroughly enjoyed it even though I’ve never seen The Shining – and judging by the excerpts in Room 237, I don’t want to, because it looks way too scary for me. 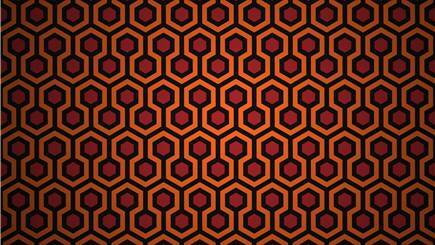 Some of the theories in Room 237 about The Shining‘s hidden meanings seem pretty farfetched. For all those secret messages to be in The Shining, there would had to have been another massive set of resources, planning and activity working alongside everything else going into the film. And surely, if that were the case, it would have been revealed by now, more than 30 years later – although I suppose the theorists would argue that everyone involved had been paid off, threatened with the end of their careers if they talked, etc, etc. and that’s why we haven’t heard about it. However, I should note that at the screening I attended, a considerable portion of the audience was scarily intense older guys who, when some of the audience (okay, myself included) were snorting and muttering “oh, come ON”, weren’t laughing at all. So maybe the conspiracy of silence really is out there….. Anyway, one of the wonderful things about Room 237 is its brilliant illustration of how perceptions override reality – how perceptions are constructed and then become reality for those who hold them. If Kubrick’s version of The Shining is the reality (albeit a reality based in Kubrick’s interpretation of Stephen King’s novel), Room 237 lets us see how different viewers take that reality and filter it through their own perceptions to arrive at their individual versions of the truth. And they do so using the same source material, right down to the same minor details in the same scenes, to support their own very different constructions. But one characteristic that all of the theories share is the fact that Kubrick was a very hands-on and detail-oriented director, so whatever is “hidden” in The Shining “didn’t get there by accident”. In popular culture research, there’s lots of discussions of fan reappropriations of cultural products, in which fans take elements of popular culture products and repurpose and reshape them to create their own vision or story. Room 237 is also exceptional in that it actually demonstrates this process of reappropriation and reconstruction in action. For the theorists, their version of The Shining is the “real” Shining. And while it’s perfectly possible for the creator of a cultural product to include multiple levels of meaning, the possibility of every theory explained in Room 237 being true is pretty remote. So is the reality of The Shining Kubrick’s movie, or is the reality what the theorists/audiences have constructed as their own meanings? Room 237 doesn’t answer that question, but it sure gets you thinking about it. And to drag this discussion back into the realm of organizations, you might snicker and say that Room 237‘s theorists have waaaay too much free time and should get out of their mom’s basement and get a life. But think about how gossip goes around in organizations and how people believe it and act on it. Or how multiple people can read the same organizational document or memo and each have a completely different understanding of what it’s saying, why it was distributed, or its real purpose. Room 237 shows the power of perceptions and interpretations in a specific context, but in a lot of ways, what it demonstrates is not that different from everyday life in a lot of organizations.